A farm stall at Detroit’s Eastern Market. 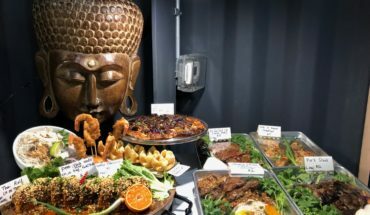 Detroit is a culinary destination. The city is climbing back from a recession and bankruptcy, energized in part by food entrepreneurs, farmers and chefs who have made the Motor City one of the most exciting places to eat in America. 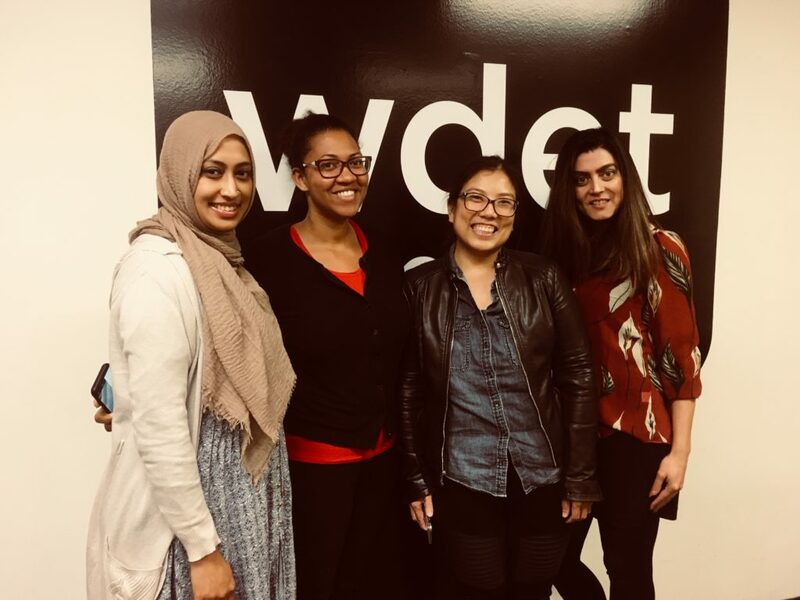 Feet in 2 Worlds is working with WDET, Detroit’s public radio station, to cover food, immigrant cultures and communities of color in Metro Detroit. We’ve awarded fellowships to four journalists who are learning new ways to tell food stories through audio. 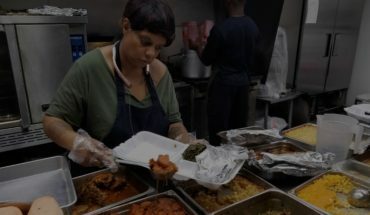 We’re pleased to bring you their audio postcards, sound-rich snapshots of people and places in Detroit’s food landscape. Read more about the Fi2W Food Journalism Fellows. 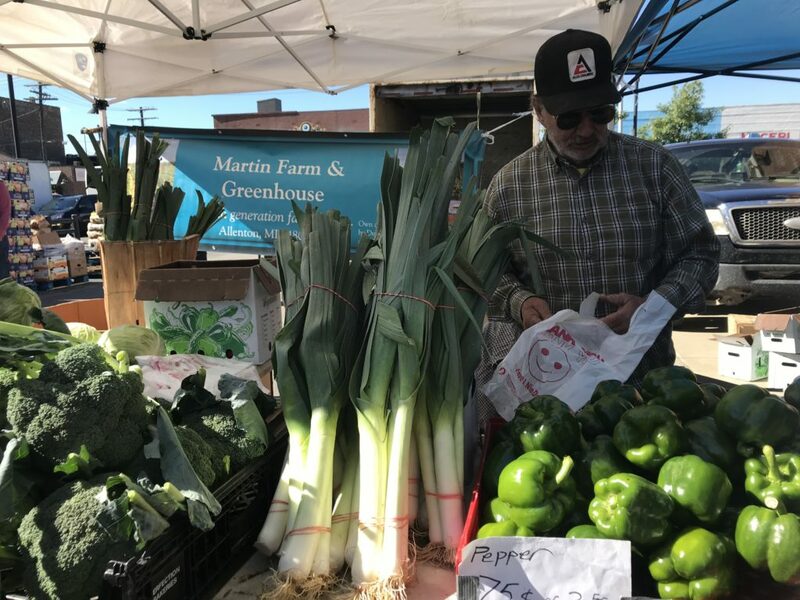 This podcast features stories from Detroit’s historic Eastern Market where local farmers, food-makers and sellers open their stalls to the public year-round. We also visit Al-Haramine International Foods, a market in Hamtramck, Michigan that serves a diverse clientele. Cashiers at Al-Haramine make a point of greeting customers in their own language whether it is Polish, Bosnian or Arabic. 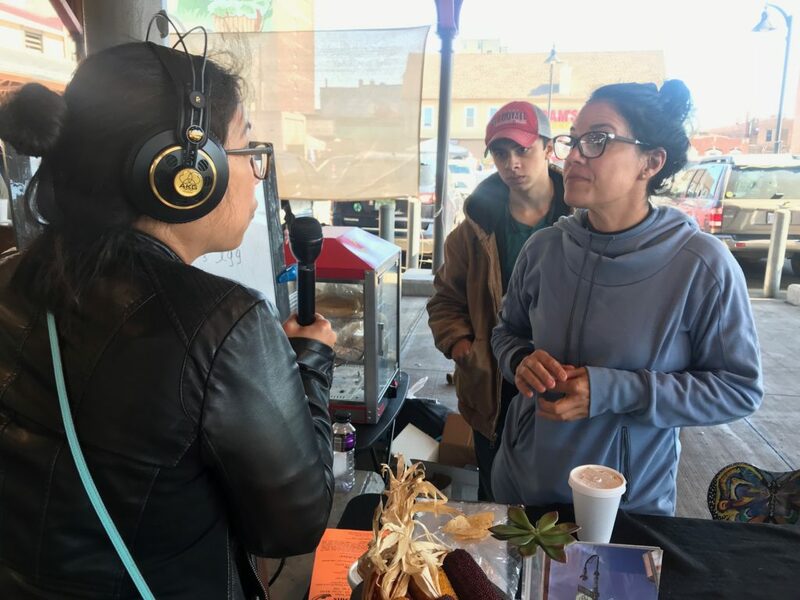 Fi2W Fellow Dorothy Hernandez recording an interview at Detroit’s Eastern Market. Other stories include an Indian food entrepreneur testing new ways to innovate healthy traditional cuisine; a fifth-generation Italian-American market vendor who has been selling produce to retail and wholesale customers for 56 years; and one of the many musicians who perform at the market, a drummer who comes to entertain shoppers and keep himself out of trouble. Left to right: Fi2W Food Journalism Fellows Nargis Rahman, Brittany Hutson, Dorothy Hernandez and Serena Maria Daniels. Support for the fellowship comes from the John S. and James L. Knight Foundation, the Michigan Council of Arts and Cultural Affairs (MCACA) and through matching gifts from station donors, The International Association of Culinary Professionals’ foundation, The Culinary Trust, and its Growing Leaders Food Writing program. 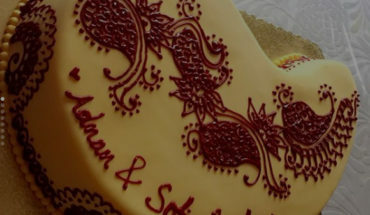 The Food Writing Program is funded with the support of the Boston Foundation. Fi2W is supported by the David and Katherine Moore Family Foundation, the Ralph E. Odgen Foundation, The Ford Foundation, the John S. and James L. Knight Foundation, The J.M. Kaplan Fund, an anonymous donor and readers like you. The podcast was produced by Rosalind Tordesillas and mixed and hosted by Jocelyn Gonzales.